Tesla shares are down sharply from their record high earlier this year. Click on chart for more data on Tesla shares. 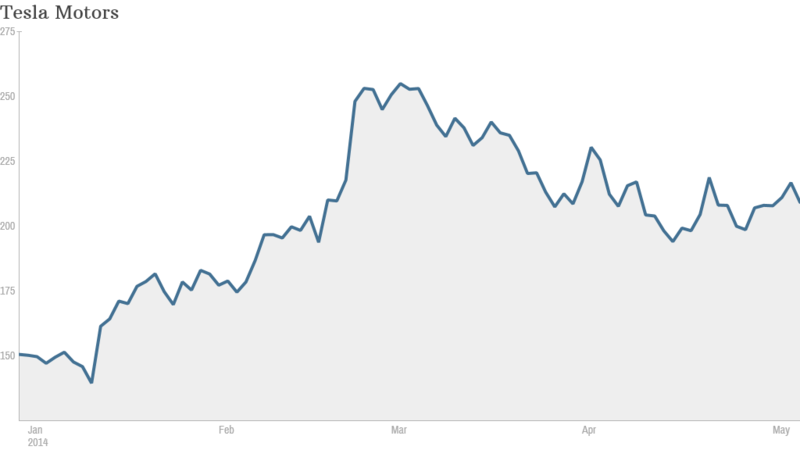 Tesla Motors' high-flying shares are down more than 20% from their record high earlier this year. The likely reason: Tesla's U.S. sales are cooling off. The electric automaker is set to report first quarter results after the bell on Wednesday. While Tesla has said that it expects to post a 55% jump in sales worldwide, all of that growth appears to be coming from overseas markets. 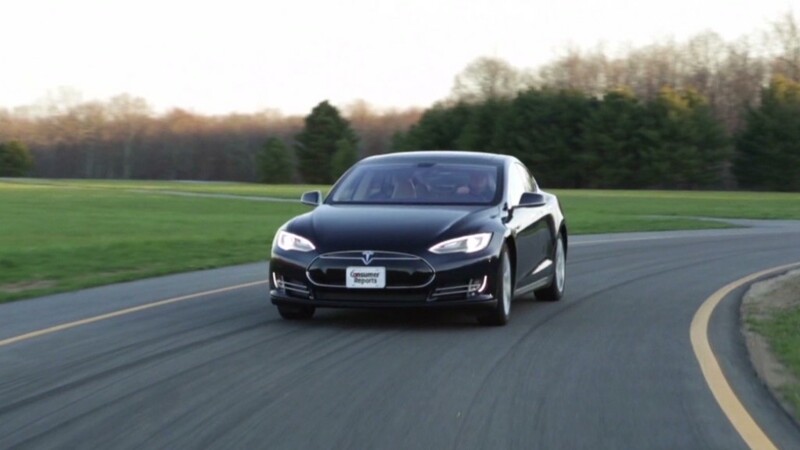 Sales of the Model S have been rising steadily since its debut in 2012, as Tesla ramped up production. Demand for the car has consistently outstripped supply, despite a price tag starting at $69,000. The manufacturer sold 22,477 cars in 2013, up from just 3,100 the year before, and analysts believe almost 90% of those sales were in the United States. Tesla forecast that it would sell 35,000 of the Model S worldwide in 2014, but sales tracker Autodata estimates that U.S. sales in the first quarter rose less than 1%. The automaker is currently ramping up sales in Europe and is getting ready to to roll out in China this spring. Investors are increasingly concerned about a decline in 2014 North American deliveries, according to Adam Jonas, auto analyst with Morgan Stanley. Jonas said he believes that Tesla probably will post a decline in U.S. sales, but that he's not concerned. Strong demand from U.S. early adopters who were eager to buy the car last year will be difficult to match, he said. "Will the headlines matter for how the stock trades? Very possibly," he said. "Are we fundamentally concerned? No." Wedbush Securities analyst Craig Irwin is also more interested in news about sales in Europe and the rollout in China than he is with North American sales. "The Chinese love technology as much as we do," he said. "It's the largest luxury vehicle market in the world, and it's no secret that is where some of the premium European brands make all their money. So how Tesla sales are taking shape in China is a very important."